GA Solar is dedicated to promoting the economic and environmental benefits of solar energy through education, advocacy and industry support. So, when a trade case, even when initiated by one of our own, threatens to jeopardize the economic viability of the Georgia solar industry and the 4,000+ men and women it supports, we are compelled to act and act decisively. That’s exactly what we are doing now to prevent the potentially devastating effect of trade sanctions on imported solar equipment. The response has been nothing short of amazing! With a unified voice, GA Solar came together with GaSEIA, SEIA, and a delegation of local industry professionals to send a message, loud and clear, to our elected officials that Georgia’s solar industry is thriving and is much, much more than a single panel manufacturer. 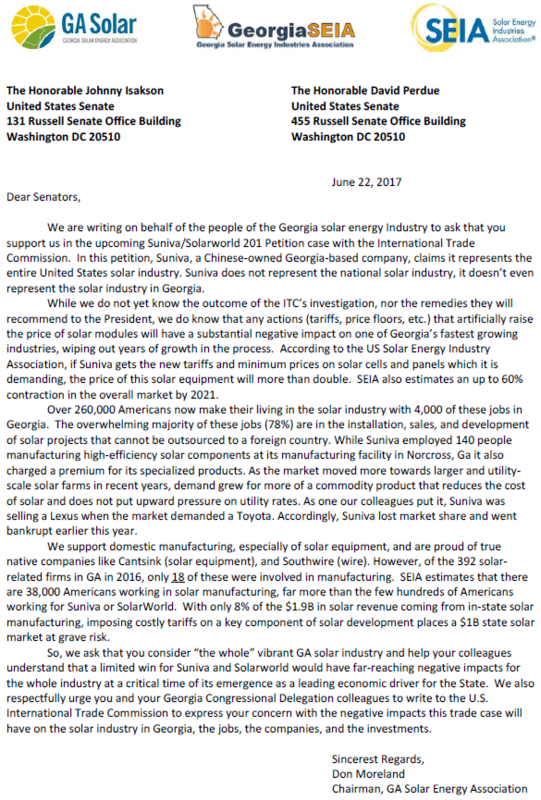 More than 150 members of GA Solar joined this effort by signing an open letter to Sen. David Perdue and Sen. Johnny Isakson. 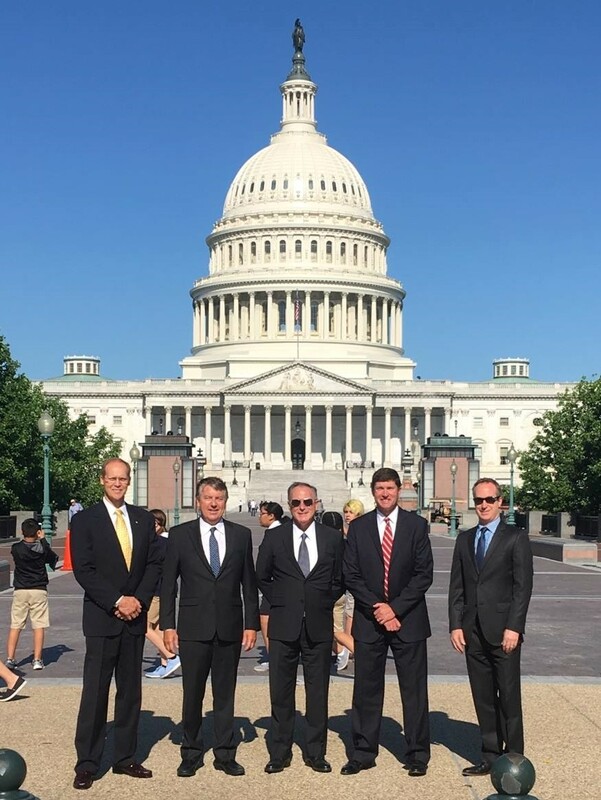 GA Solar Co-Vice Chair Russell Seifert travelled to Washington with a delegation of solar professionals from Georgia to deliver the letter personally. You have made your voice heard and shown your support for the Georgia solar industry. Thank you to everyone who took part in this effort! We will continue to fight the good fight and will count on your support along the way. Comments on "Georgia Solar Industry Comes Together to Make Our Voices Heard"